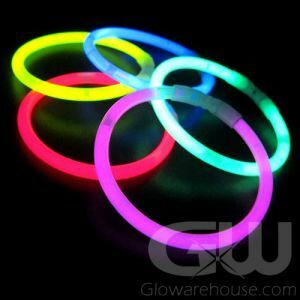 - 14 Assorted Color Glow Bracelets! 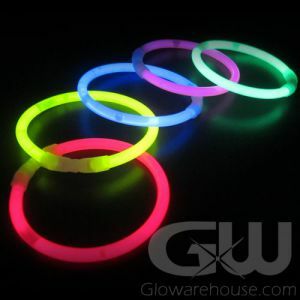 - 14 Glow Stick Bracelet Connectors! 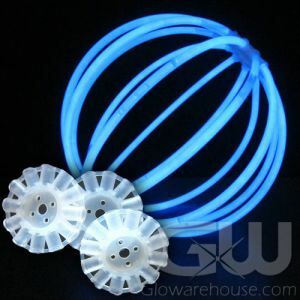 - Glow Ball / Lantern Connectors! 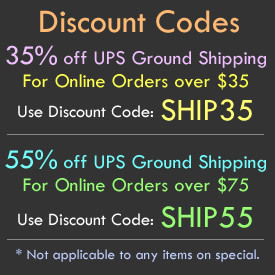 - Glowing Eye Glasses Frame! 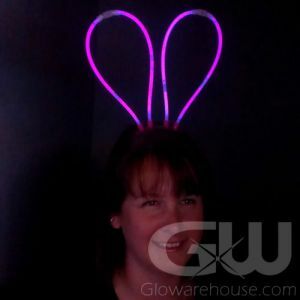 - Light Up Bunny Ears Head Bopper! 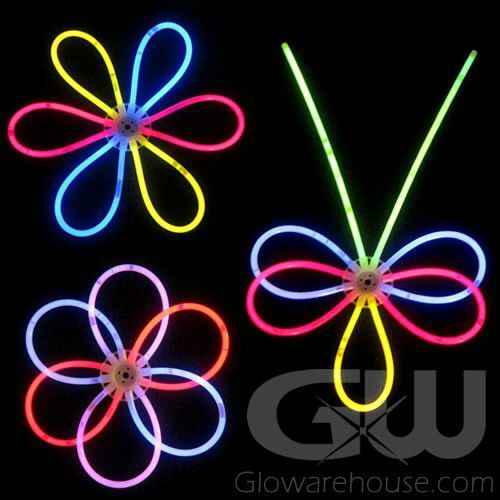 The Glow Bracelet Craft and Party Pack has everything you need for awesome glowing fun at your next crazy glow party event. 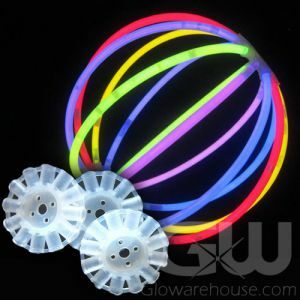 The 8" Glow Stick Bracelet Craft and Party Pack comes with 14 colorful glow bracelets and a whole bunch of different connectors that you can use to put together amazing glow in the dark projects like glowing mouse ears, glow ball lanterns and glowing eye glasses or create your own personal designs! 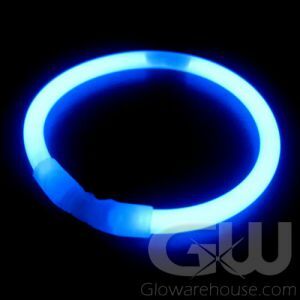 The Glow in the Dark 8" Bracelet Crafting and Party Packs are perfect for fundraising at school dances and fairs, make awesome birthday party hand outs, great stocking stuffers and make for funky glowing costume accessories at Halloween and theme parties! 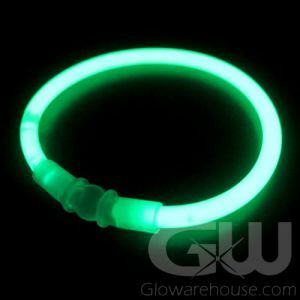 They're also exactly the glow in the dark party supplies you're after for light up pool parties as the glow stick bracelets are completely waterproof! You can do it and make it all with the Glow Bracelet Craft and Party Packs!